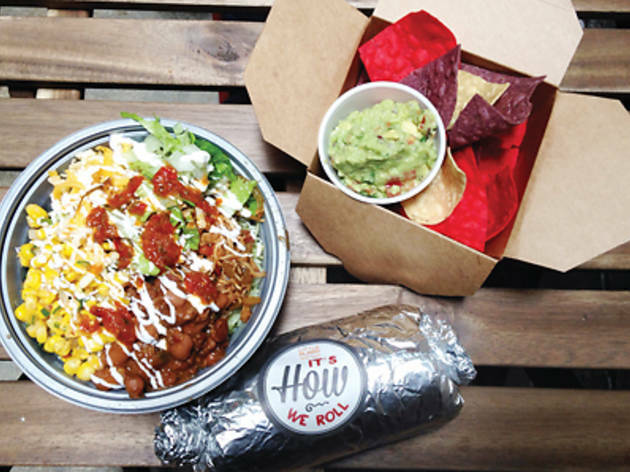 Hong Kong’s Mexican revolution has finally found its way to Causeway Bay. 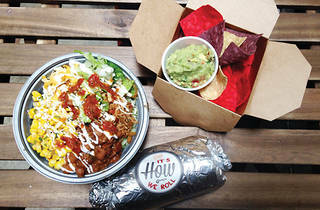 Opened on the foodie strip of Leighton Road, behind Lee Gardens, Little Burro – as in ‘burrito’ – joins the ranks of Sai Ying Pun’s Taca Chaca and Central’s Mr Taco Truck in providing tasty Mexican eats. And, indeed, burritos are their specialty. The menu on the wall is simple enough – choose your burrito or ‘burrito bowl’ (everything a burrito offers, but in a bowl instead!) with a choice of beans and sides, and add – as we do – a tortilla with toppings like salsa or guacamole as a starter. Quality guacamole is hard to come by in this city, so we’re pleasantly surprised when the guac with our tortillas ($38) arrives with a chunky consistency, and with the salsa mixed in. It’s a small tub – but we prefer quality over quantity any time. Little Burro 125 Leighton Rd, Causeway Bay, 2336 3909. Dinner for two: $200.